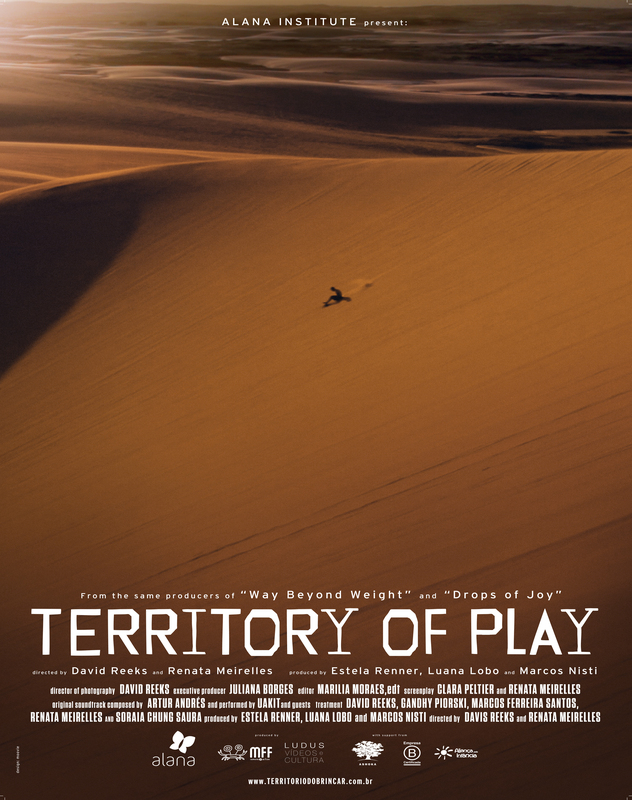 This film is the result of a 21-month-long journey through the vast geography of children’s gestures in the most diverse settings in Brazil, in order to find paths within us all. This feature length film embraces children’s games as a narrative that sustains a story in its entirety. Adults do not appear within the frame of the film, but the audience will certainly see themselves represented in these children’s capacity for play. We embrace a style that is not meant to be didactic or to generate discussions about the rights and wrongs of education, but that trusts in communicating through the sensitive force of childhood. This film is part of a research, documentation and dissemination project that involves a variety of cultural productions. It is a work that sees cinema as an excellent window to find the change you want to see. Story: David Reeks, Gandhy Piorski, Marcos Ferreira Santos, Renata Meirelles, Soraia Chung Saura. Field producers: Beatriz Olival, Daniela Yone Uechi, David Reeks, Fernanda Guimarães, Fernanda Valdivieso, Maria Fernanda dos Santos, Renata Meirelles and Tarcila Rigo. Sound recording: David Reeks, Edvaldo Carneiro dos Reis, Fernanda Guimarães, Fernanda Valdivieso, Francisco Bahia Lopes, Hugo Bodanski, Marcos Gatinho, Maria Fernanda dos Santos. Abadia – MG, Acupe – BA, Aldeia Indígena Panará – PA, Alto Santa Maria – ES, Araçuaí – MG, Córrego da Velha de Baixo – MG, Costa da Lagoa – SC, Cururupu – MA, Entre Rios – MA, Jaguarão – RS, Oiteiros – MA, São Gonçalo do Rio das Pedras – MG, São Luiz – MA, São Paulo – SP.